Give your look a little extra bite. 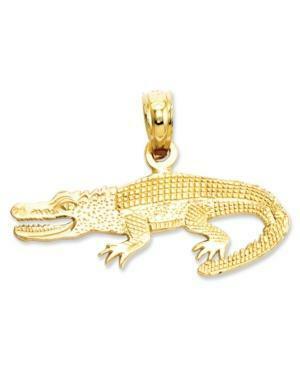 This polished and textured alligator charm is crafted in 14k gold. Chain not included. Approximate length: 3/5 inch. Approximate width: 9/10 inch.